With its 18 lawmakers, the Shiv Sena is the second largest constituent of the NDA. New Delhi: The Shiv Sena on Thursday said it is "not on the same page" with the BJP on the issue of the NDA lawmakers forgoing their salary for 23 days of the ongoing budget session during which the House did not function due to disruptions. The party also blamed the government for the disruptions in the parliament. Union minister Ananth Kumar said that 400 lawmakers of the ruling NDA would forego Rs 3.66 crore as salary and blamed the Congress for the near washout of the second half of the budget session that will end tomorrow. Arvind Sawant, a Shiv Sena lawmaker from southwest Mumbai, said his party was not consulted before the decision to forgo salary and allowances was taken. The Shiv Sena is "not on the same page" with the BJP on the issue, he said. "They did not consult us before taking the decision. They only remember the NDA when there are presidential and vice-presidential polls," Mr Sawant said. "This is not the question of salary. We, as MPs, have been dong our work. Even if Parliament was not functioning, we have held meetings with ministries to address the problems faced by our people," he said. Referring to the protests by the AIADMK over constitution of Cauvery River Water Management Board in the Lok Sabha, Sawant said Speaker Sumitra Mahajan did not use strong words or rebuke the protesting lawmakers from Tamil Nadu. "We feel that the government did not want the House to function and (the upcoming) Karnataka polls was the reason behind it," the Shiv Sena lawmaker said. He alleged that the Centre did not form the Cauvery River Water Management Board despite the Supreme Court's order because that would have hit the BJP's prospects in Karnataka Assembly elections. 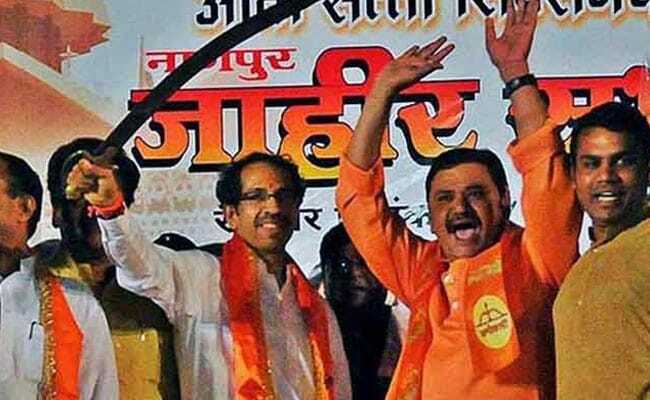 The Shiv Sena and the BJP are in a uneasy relationship despite being in alliance at the Centre as well as in the state. It has been highly critical of the policies of the Centre as well as the state. Parliament has not carried out any substantial work over the last 22 days. The second part of the session, which began on March 5, is scheduled to end on Friday. The crucial Finance Bill was cleared in the Lok Sabha without any discussion. A no-confidence motion against the government, moved in the Lok Sabha by various opposition parties, could not be taken up.